The Deck offers guests the chance to relax in a stunning, serene rural setting close to both the beach (10mins) and town attractions. The stylish 3 x 2 home is situated on two and a half acres of prime land bordered by tall timbers and wildlife. Take the walk/ cycling path to town centre or the beach. 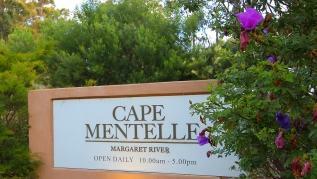 A short ten minute walk to Cape Mentelle vineyard offering seasonal outdoor movies, tours and wine tasting. Two queen rooms and a third bedroom with two singles, two bathrooms plus separate water closet and laundry. NBN WIFI, 40 inch Samsung H6400 television, 3D bluray player and Denon Sound system. 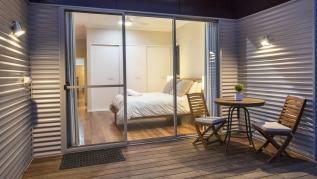 The Deck is family friendly and also suitable for couples or a small group of friends. It features a pot belly fire place, reverse cycle air conditioning to the open plan living area and ceiling fans to the lounge and all of the bedrooms. A very well planned design, well equipped kitchen plus private and stunning outdoor areas both for entertaining outside and making use of the surrounding land. Keep up to date with things happening at The Deck on facebook. Amazing property in a brilliant location! We can thoroughly recommend The Deck. It was perfect for our family and ideally located for all the amenities Margaret River has to offer. Our hosts went above and beyond for us, going so far as to deliver a power adaptor when I mentioned that we'd forgotten ours! We hope to visit the area again soon and would have no hesitation in booking with our hosts again. Great stay at The Deck. We were a party of 4 women staying. The House was clean, well stocked and comfortable. Our questions were answered quickly by Tina and Steve. Loved that the house had some basics-oil, salt pepper, ice, laundry soap, etc. towels and soap were great. Beds comfy. Loved the half bath as well. The kangaroos in the morning and evening were great. We didn’t use the grill, but it was clean and ready to go. Location was good as quick trip to town or close to caves road to head out to the wineries and beaches. All in all great place. Our stay at The Deck surpassed all our expectations, it was a wonderful, stylish, spacious home for our family of 5. The kitchen was fully equipped with everything needed to cater for our family over the Christmas period. The bedrooms were so comfortable with high quality bed linen and fluffy towels. Our most enjoyable times were spent watching the kangaroos at breakfast and early evening in the garden and enjoying wine from the surrounding vineyards. All our requests were met, even supplying a decorated Christmas tree to make the place feel like Christmas. Highly recommend The Deck. Beautiful house in a great location with a short drive to both town and the beach. It was a perfect base for the Cape 2 Cape MTB race! Loved how quiet and peaceful the natural surroundings were and we enjoyed hanging out with the local roos and the horse and pony next door... We will definitely be back again. Thanks Steve and Tina! The Deck is a charming place to stay - large, well-appointed and beautifully clean. The rural setting is stunning to awake to. It's a very comfortable place to stay. This was our THIRD time staying at the Deck, its the perfect location, gorgeous scenery, the house has all the amenities, super comfy beds, warm potbelly fire, and a big property which was great for our 4 year old to explore and play. The visit from the kangaroos and the neighbouring horses are always a delight! We would highly recommend this house and booking through House Down South, Steve and Tina are wonderful to deal with. Highly recommend Steve and Tina’s place,we had a great stay. The layout is perfect and the wood fire is the icing on the cake. We would happily return. My family and i had such a fabulous time at The Deck. Beautiful surroundings, clean and modern house and the morning view with the wild kangaroos is just breathtaking. Steve dropped by 1 hour after we reported some problem with the dishwasher and fixed it immediately. Thanks for making my pre wed shoot trip so much more memorable! Had a great stay at The Deck, the place was very clean and well kept. The perfect location and a lovely house- we will be sure to recommend House Down South to our friends and hope to stay at The Deck again for any future trips down south.. could not be happier with our stay here! Highly recommend this place. We had a great time at Steve and Tina’s. 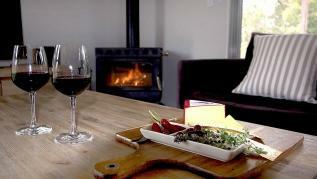 Very close to the center of Margaret River yet provides privacy and tranquility away from the noise of the main town. Would definitely go back. Warm in the winter with great amenities. Amazing views! Great location! Awesome experience! This house is spectacular! We arrived with very easy to follow instructions and a spotlessly clean house. The place is extremely well equipped for those who want to stay at home and cook if that’s what you’re after in a holiday - otherwise Margaret river town is a five minute drive. There was plenty of firewood for the fireplace too (which does an excellent job of keeping the house toasty on cool nights.) The scenery around the house is incredible and there was a family of kangaroos that hung around the house for most of our stay. I would not hesitate to stay here again, as a perth local who’s been to Margaret river a bunch of times, it’s one of the nicest places I’ve stayed in in the region. Perfect spot for our wintercation! What's not to love about this property? Perfectly located and central to all that is wonderful about the Margaret River region. Clean, comfy and stocked with all that you need in a home away from home. Beautiful outlook onto green pasture and forest with an abundance of kangaroos and other wildlife to watch go by.